When Bruce, an abandoned collie-cross puppy, is adopted by a lively family, he encounters more affection than ever before in his short life. With humour and a unique charm, he describes his life with his loving but troubled owners, and offers a sometimes hilarious insight into the world from a dog's point of view. But when the family is threatened, Bruce lends a paw, and uses his canine second sight to guide the family through some difficult times. 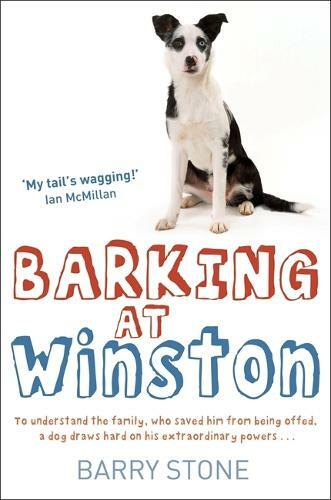 Already a sleeper success, Barking At Winston is an authentic and endearing tale of one family and their canine friend.